Are you turning a shiny finish to a matte or frosting a clear surface to diffuse light? 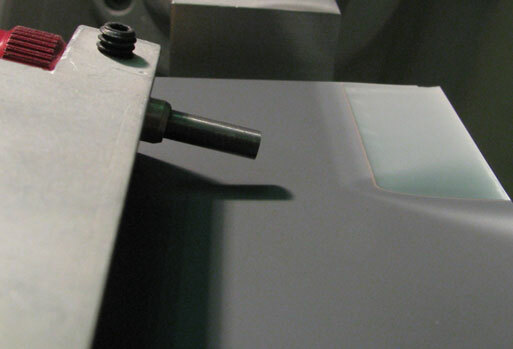 MicroBlasting is an excellent method for altering the finish on a base material by adding texture. Surface texturing is not just a cosmetic application. 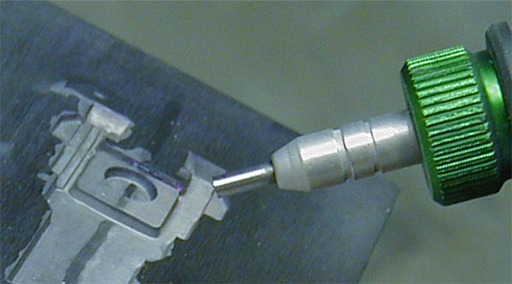 MicroBlasting is also widely used to enhance the adhesion characteristics of a surface for improved bonding. 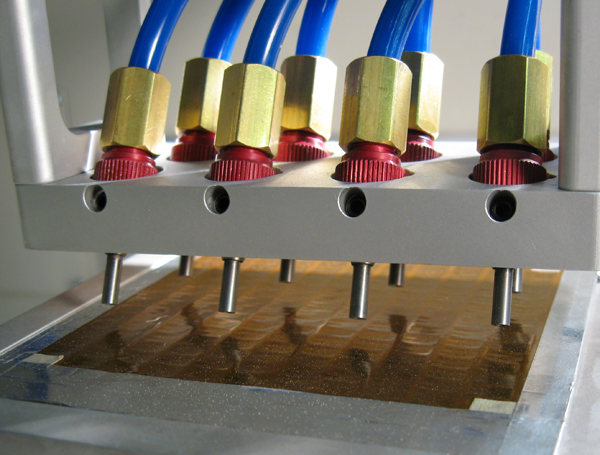 The chemical and physical properties of abrasive effect your part’s surface finish. For instance, angular materials tend to leave a matte finish on most surfaces and spherical media tend to leave a satin finish. The more energy a media can store, the rougher the surface it creates. Basic principle: the larger the abrasive particle, the rougher the finish. Pit size on your part’s surface directly correlates with the mass of the particle that strikes it. 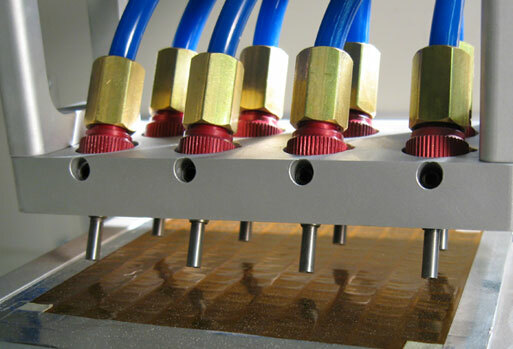 The speed at which the abrasive particles travel is determined by many factors: blast pressure, nozzle design, propellant or gas type, and nozzle distance. The faster a particle travels, the larger a crater it leaves in the targeted surface. The Ra is a combination of the depth of the crater and the displaced ring around the edge. Depending on the abrasive selection and composition of the ductile surface, micro-abrasive blasting can produce either a satin or a matte finish. There is no displaced ring. Ra is typically determined by the fracture mechanics and grain size of the substrate. Blasting on brittle materials only produces a matte finish. Ra is a measurement of peak amplitude on textured surfaces. It does not account for peak density or spacing– two variables that matter in most texturing applications. Combining Sdr (developed surface ratio) with Ra can provide a more accurate understanding of your part’s surface and bonding properties. Mechanical bonds generally require more spacing between peaks, whereas organic bonds tend to require tighter spacing. Large abrasives at low pressures yield low peak densities. Fine abrasives at high velocities yield high peak densities. Learn more and see examples in our post on improving bond strength. Apply texture uniformly with either a manual or an automated MicroBlasting system. A manual system is a great starting point. It gets you into the process. You can achieve desired results without having to invest heavily in fixturing and technology. Automation is ideal for applications where large areas of a part need to be textured uniformly. MicroBlasting roughens these large surface areas without leaving lines or bands. 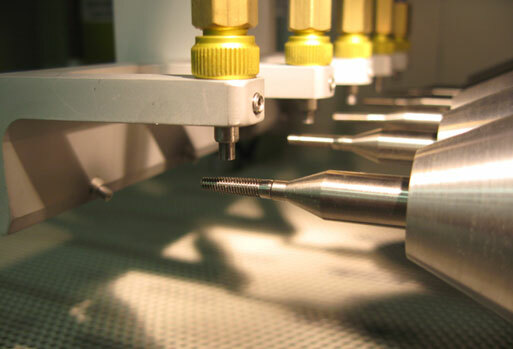 Automation also delivers on applications that require very tight tolerances or localized and focused texturing, like a dental implant that requires a sharp delineation between textured and non-textured areas. The surface texture of a dental implant is a critical design component, as it determines how quickly and smoothly the implant integrates into a jaw bone. Studies indicate that the surface of the dental implant needs to be more than just rough. Several characteristics impact the rate of integration. MicroBlasting controls two of these characteristics: Ra, the size of the peaks and valleys, and the developed surface, or the amount of surface area created through the texturing process. Automation delivers ideal results for surface texturing dental implants. It provides careful control over particle velocity and coverage, which together create a consistently uniform surface. 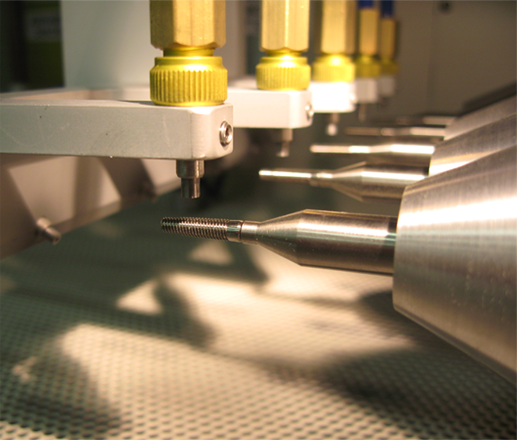 With automation, you can create surfaces as smooth as 10 µin or as rough as 200 µin. 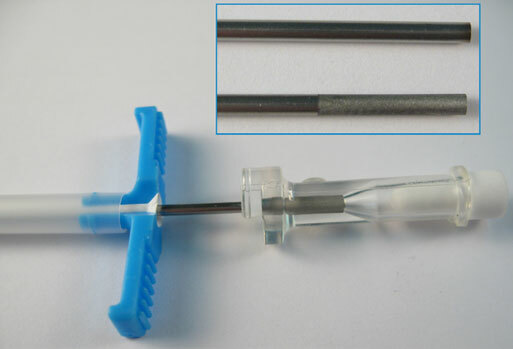 While surface texturing with MicroBlasting is most commonly used on bone screws and dental implants; it is appropriate for most implants that depend on a rapid fixation process, even some spinal implants. 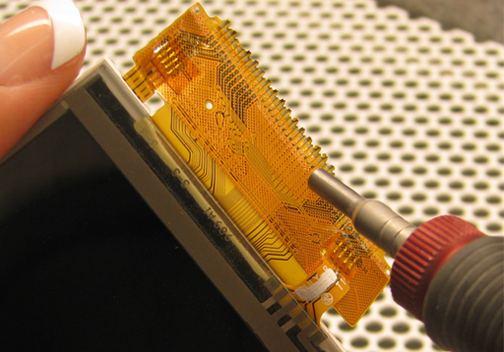 Load cells and flexible circuitry need to bond to a metal substrate, either chemically or mechanically. MicroBlasting suits both texturing applications. Each application can be done manually or using an automated system. MicroBlasting roughens the surface of a load cell to keep it glued to the substrate. MicroBlasting improves gripping power by creating large peaks and valleys on a flexible circuit. 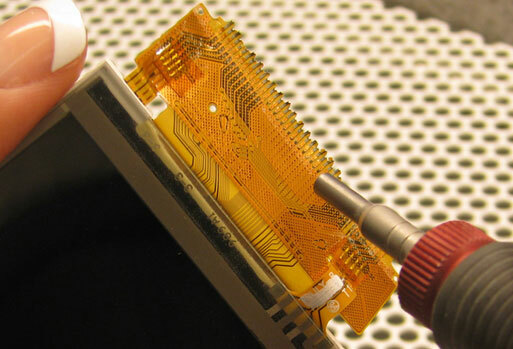 Sodium bicarbonate is an effective abrasive for roughening polyimide film, like Kapton. Sodium bicarbonate is also water soluble and easily washes off the device during the cleaning process. Molds gradually lose their surface finish in production. Some molded parts change appearance and stick in the mold. Proper mold maintenance extends the life of mold cavities. 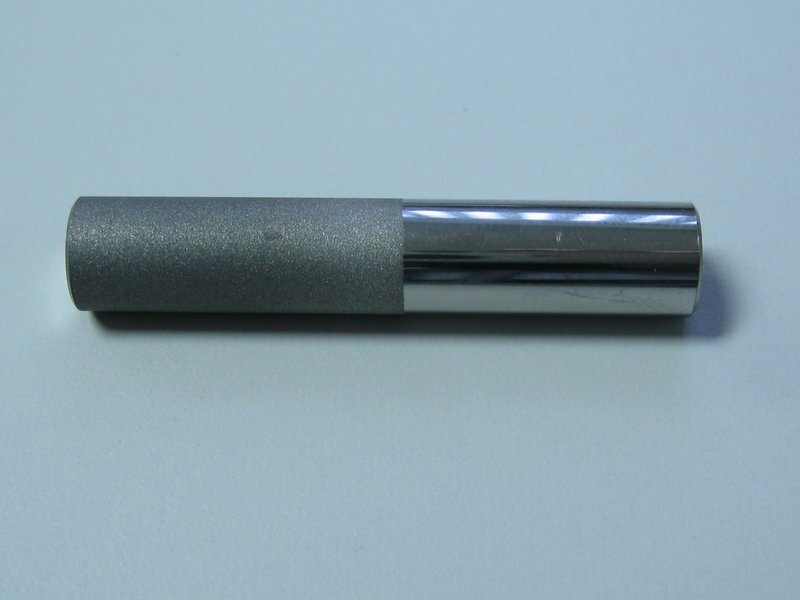 MicroBlasting creates a uniform finish without degrading the mold cavity. 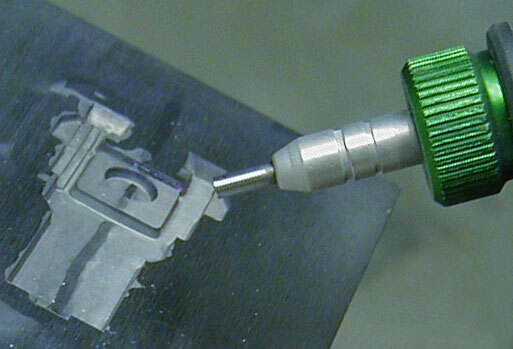 A focused micro-abrasive stream delivers consistent results, especially on small and intricate molds. 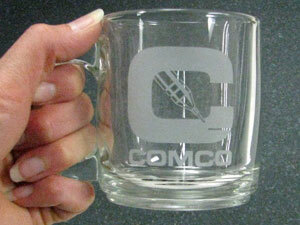 Glass bead is an effective abrasive for this application. Its spherical shape forms smooth craters in the mold cavity and cleans out any residual material. Need a Consistent Surface Finish? Uniform Removal + Sharp Delineation? You’ve Got This.